For millions of refugee girls, education is out of reach. Despite substantial increases in access to girls’ education around the world over the last two decades, refugee girls remain left behind. “Her Future: Challenges & Recommendations to Increase Education for Refugee Girls” calls for decision makers to prioritise education for refugee and displaced girls and provides recommendations to improve access. 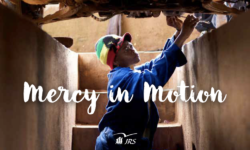 In 2017, JRS made an impact on the lives of nearly 640,000 people in 52 countries. Learn more about our work and about how we continued to seek new and better ways to serve the world’s most vulnerable displaced people by reading our 2017 annual report. 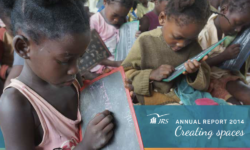 JRS 2016 annual report is presented through the words of Pope Francis: Welcome, Protect, Promote, Integrate. Read it to learn more about how we served more than 725,000 people in 50 countries. JRS has been present in the war-torn north and east of Sri Lanka from1995 until June 2017, when we handed the baton back to the Sri Lankan Jesuit Province. Read about our experience in this country. 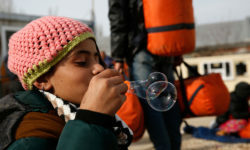 This JRS USA’s report provides an overview of the work we’ve done, challenges refugees continue to face, and policy recommendations that could improve conditions for refugee children. 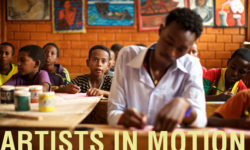 Eritrean artists in exile take you on a journey of displacement. Education is not an abstract human right; it is often the only thing a refugee can carry with him to the new life that awaits. Learn more about how education helps refugees rebuilding their lives by reading our 2015 annual report. Eight unique articles share the struggles, hopes and dreams of people seeking a new and safe life in Europe. In 2014 hostility towards people in search of asylum and a new home was on the rise and ‘walls’ kept getting higher. JRS countered this hostility by creating spaces where refugees can belong.